Another Maryland rye, this one with roots deeply planted in where I grew up, has come my way, and thanks to it I’m developing a taste for this fruitier, more floral style of whiskey. 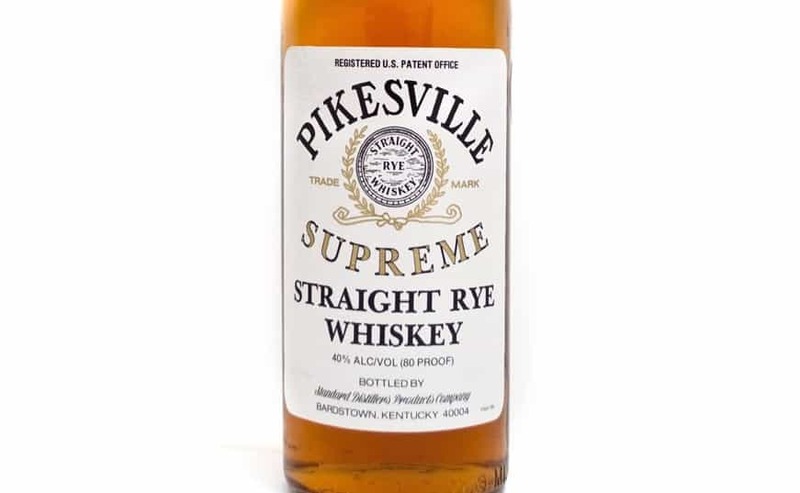 If you’d like to learn more about Maryland-style rye and its rich history in America, you’ll find it in my review of Pikesville Straight Rye. Bottom line, after Prohibition was repealed, it became the most popular whiskey style in America. But by the mid-1940’s, distillers found that the public’s tastes had turned towards a drier, more robust tasting rye — the kind we know today. Once upon a time, on the lush banks of the Gunpowder River, the Wight family made whiskey in the Maryland style. 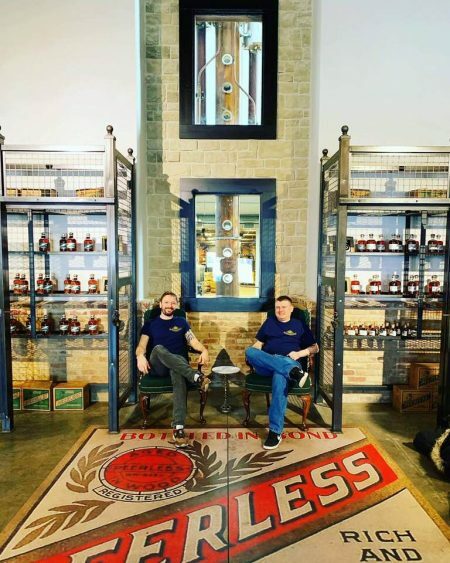 Their enterprise started in 1894 in the nearby Hunt Valley area, when John Wight took over the famed Sherwood Distillery, and it ended in 1958, by the river’s edge, upon the death of his son, Frank. It wasn’t until 2012 that Frank’s great-grandson, Ned Wight, resurrected the family tradition of whiskey-making in the Maryland style, this time however it’s in Portland, Maine. 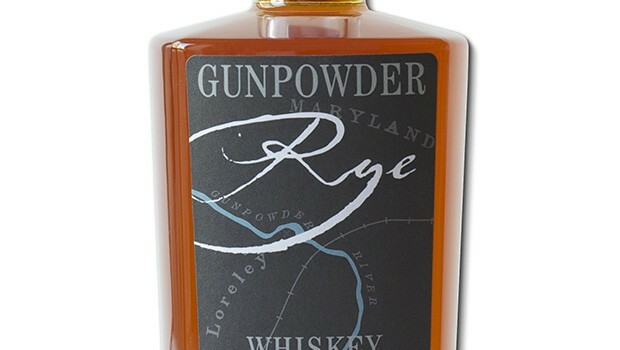 Upon getting a bottle of New England Distilling’s Gunpowder Rye in hand, I admit it made me giddy. As a kid growing up in Maryland, the Gunpowder river was as exotic as things got within a twenty-minute drive from my house. When I was a child my father would take me on walks through the woods that flanked it. A favorite photo of him hangs on the wall, suspended in mid-leap between the boulders, unencumbered by his paunch and the wrong sort of shoes, happy and alive. I suspect he’d have enjoyed a glass of this spirit after a cold day’s walk. Color: Apple juice. Nose: Night jasmine, its petal tips lightly brushed with rubber cement. Mouth: On the first sip a sweet bouquet of wildflowers and cinnamon-soaked cherries with a sharp burst of vanilla extract on the finish. Behind it all is the familiar pepper of rye. A couple of sips into it, a bloom of chocolate takes over, the kind of chocolate in flavored lip gloss and scratch-and-sniff stickers, which arguably isn’t really chocolate at all, but some version of what childhood tells us it is. What’s perhaps most surprising for a “regular rye” drinker like me is the fruitiness. Some Maryland-style ryes rely on acetic acid bacteria to produce the fruity notes, but the fruit flavors in Gunpowder Rye come as a result of the creation of ester precursors through the activity of yeast and lactic acid bacteria, instead. 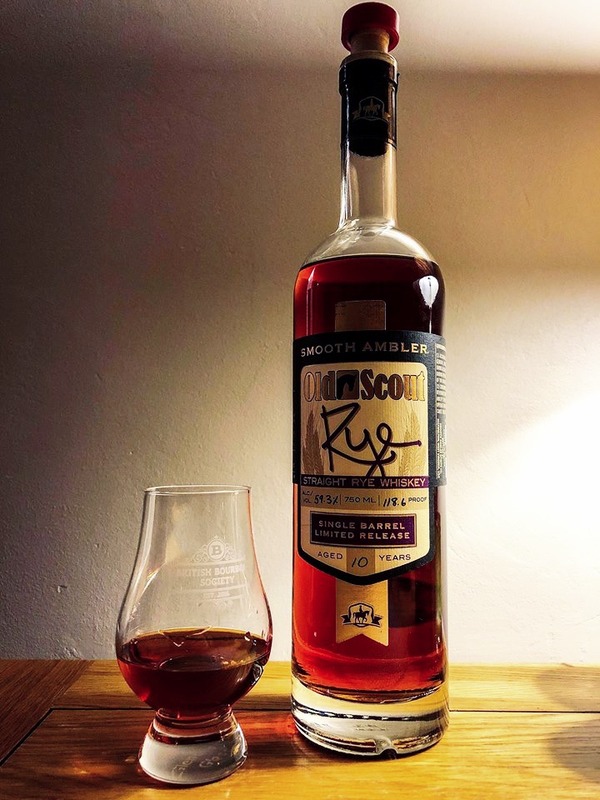 As Ned puts it, “We steer clear of acetic acid bacteria as they really like making vinegar at the expense of alcohol production.” Overall, it’s an unusual flavor, softer and not what modern-day drinkers have come to expect from a rye. To me, that’s what makes it an exciting bottle to have on hand. The mash bill is 70% rye, 30% barley, surprisingly sweet for having no corn in it at all. The recipe for Gunpowder Rye isn’t a replica of Ned’s ancestors’ whiskey but an inspired creation of his own— and that’s fine by me. Sometimes our memories of the dead are more keenly kept because of what we can no longer have without them. A silver award winner of the 2014 International Whiskey Competition, Gunpowder Rye is currently available in stores for around $48 throughout Connecticut, Massachusetts, New York and Maine and online at drinkbetter.com. You are probably the son of my good friend “Hydy” of many years ago. The Wights and my family were long time friends. And I have lived on the Gunpowder River in Monkton. It was well known that only one or two Wights in each generation had the Wight’s Rye formula in their head(s) or is that apochrapl? Today I tried to buy Gunpowder Rye without success to give to our hosts for Thanksgiving dinner. Until now I didn’t realize how many Rye makers have suddenly appeared. Around here Sagamore Rye produced by Under Armour owner Kevin Planck — seems to very popular. Planck, as you may know, bought the famous Sagamore racing farm — located about ten miles west of Monkton. Please remember me to John Hyatt. Tell him I think of him often.